Functional Fitness for Older Adults is an illustrated guide for activity professionals working with adults over the age of 65—especially those who are unable to complete activities of daily living because of poor functional fitness levels. The guide includes a variety of specialized activity programs that are developed to meet the specific needs of older adults. They are designed to improve upper- and lower-body strength, balance, range of motion, and functional performance. Each exercise program is approximately 20 to 30 minutes long and works easily with busy schedules, a variety of participants’ needs, and institutional budgets. Specific guidelines are included for working with older adults with arthritis, chronic obstructive pulmonary disease, depression, diabetes, heart disease, hypertension, osteoporosis, or stroke. Extensive research has verified that the guidelines and programs are safe and will result in significant functional gains for most participants, improving their health-related quality of life. 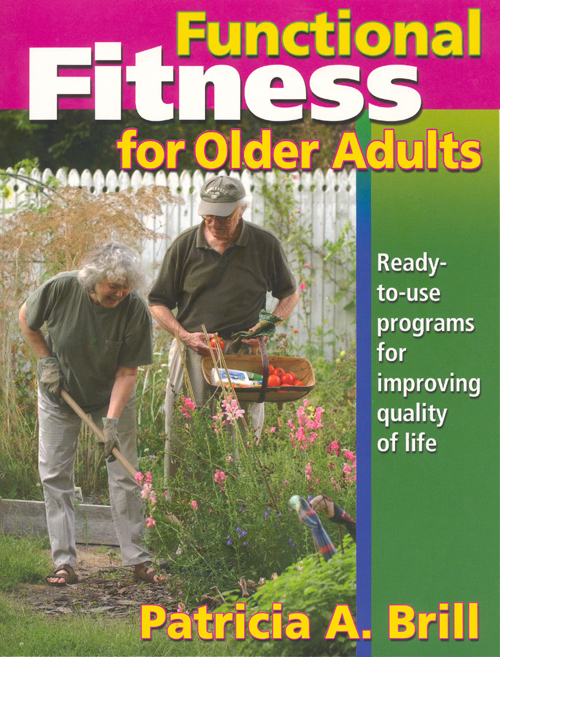 Functional Fitness for Older Adults includes materials that make it easy for you to conduct the programs. All exercise descriptions list the muscles worked and instructions for performing the exercise. Many also feature adaptations to the exercise, suggestions for those needing more of a challenge, and ideas for making the activities fun. You’ll find illustrated summary sheets to use as handy program guides for each of the nine programs. These sheets can be easily photocopied, then enlarged and laminated to create a “cheat sheet” for conducting each session. 2001 National Mature Media Award – Educational Training Programs/Videos for the Memorable Movements Exercise program for individuals with dementia.